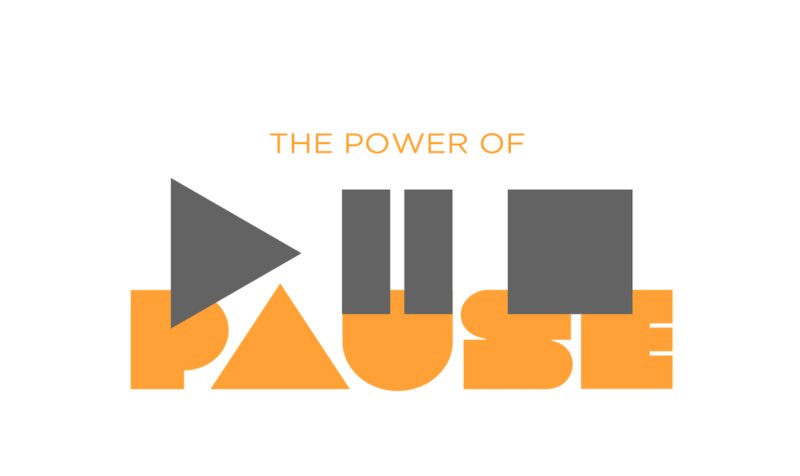 As our Power of Pause teaching series rolls along here’s another post from one of our team members. Angela Hagebusch is one of our children’s pastors. She is married to DJ and they have three blond-haired, blue eyed kiddos. She preached last Sunday in our Power of Pause series on Waiting for Restoration. It’s something most of us are not very good at. Did you know the average American household has over $15,000 in credit card debit? Why? Because we don’t want to wait. When we see something we like, we don’t want to save up for it – we want it now, so we put it on the card. We spend $117 billion dollars on fast food each year – because we don’t want to have to take the time to plan, and prepare and wait for a meal for a meal to be ready. The drive-thru is quick and convenient. I’m the type of person that checks the tracking number for my online purchases every day. I’m wondering where my item is and why it’s taking so long to get to me. I’m the type of person that gets incredibly annoyed when I have to spend 3 or 4 minutes in the Starbucks drive-thru line. I don’t like to have to wait! Waiting can be tough, it can be aggravating, it’s not always fun – but it also can be incredibly important, because sometimes during the waiting is when we are drawn even closer to God. Have you ever had to wait for restoration before? Restoration: is the process of repairing or restoring something back to its original state. As I sat and thought of times in my life when I have had to wait for restoration, I thought about a recent occurrence regarding my son Noah. In November of 2013 my then 6 year old son Noah started complaining about feeling pain in his legs and in both of his feet. Being that both DJ and I are 6 feet tall – we assumed it was just growing pains and explained to him that it was okay, this was all just normal, something he’d experience now and then and that it would go away in a day or two. But it didn’t go away, in fact it began to get way worse. Noah would cry as he told me how much his feet and legs hurt, and if you know my son at all, you know that’s not like him. Then it began to spread to his hands, his wrists and his neck. He began to have trouble getting his own socks and shoes on. He wasn’t acting like himself, I could tell he was truly in pain. The morning he literally crawled out of bed and backwards down the stairs because he said it was too painful to walk was the morning I took him to see his doctor. She ran a bunch of tests, took x-rays, and did a lot of blood work – then she suggested we go see a specialist at Children’s hospital. There he was seen by two others doctors and they all made the same conclusion – and my 6 year old son was diagnosed with Juvenile Rheumatoid Arthritis. Basically all of Noah’s joints were inflamed and swelling and that led to persistent pain. They explained that a child’s inflammation levels should be under the number 10 – Noah’s were at a 78. I felt so bad for my son. Watching him unable to run around and play with his friends, and have to sit out at PE literally broke my heart. And there was nothing I could do. I couldn’t fix it, I couldn’t take it away. All I could do was pray, trust God, and wait. As a parent, seeing your child sick or in pain or struggling through any sort of situation – is heart wrenching. You would do anything to take that pain, that suffering for them and the challenge of having to sit, and wait, and pray and trust that God has everything under control – it’s not an easy thing to do. Over the next 6 months Noah was put on a ton of medication. He became a pro at getting his blood drawn. He went on a steroid treatment which terrified me because all I knew about steroids is that major league baseball players really seem to like them. But his doctor was sure it would help, and we trusted her. And so we prayed that God would take away our sons pain, we waited for restoration – and eventually Noah’s inflammation numbers started to go down. His pain levels started to decrease and by the end of last summer – he seemed to have no trace of any arthritis whatsoever. Even the doctors were surprised at how much better he got. They have forewarned us that this doesn’t just typically disappear but instead we should be ready for it to return at some point. And if it does, we will trust God and wait. But no matter what, we praise God for the work He has done. 1 Peter 5.10 says: He will restore, support, and strengthen you, and will place you on a firm foundation. I believe that is what he has done for my Noah. When in your life have you had to wait for restoration? In your family? With your kids? In your marriage? Your health? Your job? Will you continue to trust God and praise him even during the waiting? God is in the restoration business and He’s very good at what He does. He wants to fix and make new and restore whatever in your life feels broken, or damaged, or beyond repair. But first you have to trust Him with it. When we’re waiting for restoration, when we’re praying for God to fix, or heal, or restore a certain situation in our lives – it at times can be difficult to find the strength, or to keep fighting, or to keep singing His praises. But I have experienced firsthand that it’s in the times we feel the least like singing, that we should sing the loudest of all. In God’s timing He restores everything in ways you could not dream up yourself. I believe that because I have lived that. What the enemy tries to take from you, what he tries to ruin and destroy – God wants to restore. God already knows the plan. It’s always been in His hands. Don’t give up, don’t quit, keep trying, keep moving forward. Trust God and believe in the power of His restoration. Joel 2.25: God can restore what is broken and change it into something amazing. All you need is faith.